Our first Theme for every week is Home Sweet Home. It could mean any home - home in old country, home in new country, place you once visited and felt home in and so on. As Cheryl with her question about Jindřichov was the first one who send me an e-mail I've decided to tell you her story this week. "This is a picture of my Great Grandmothers family. I think I know which is my Great Grandmother. My Great Grandmother came to America in 1894. 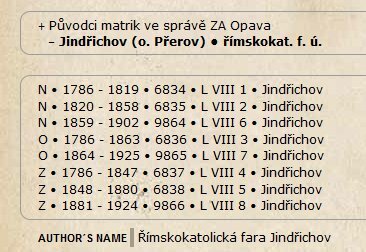 On my Grandmother's Christening Record, it lists my Great Grandmother (Anna Ondra) as being from Jindrichov. I have not had much success locating any records beyond her ships list record (Wittekind). The only document my Grandmother had was my Great Uncle Frank's 1st Communion showing where they had lived. I was able to find the census record 1900 with my Great Grandmother Anna but my Grandmother had not been born yet. I kept digging and a few years later found the ships list that my Great Grandmother came to America on. A few years later, after joining a Texas Genealogy Society, I received copies of my Grandmother's Christening. That is how I found the town my Great Grandmother Anna was from, Jindrichov." She immigrated from Moravia, therefor I was going to search for Jindřichov in Moravia, not Bohemia or Silesia. There are two villages of this name in Moravia, one in Žďár nad Sázavou district, Jinošov parish, (MZA Brno) another in Přerov parish (ZA Opava). As both villages have their records online I decided to check one more thing and take a look on the parish books in the digital archives a bit later. The darker the color is the higher density of the surname is in that area. Red dot more to the left is Jindřichov in Žďár nad Sázavou district, red dot more to the right is Jindřichov in Přerov area. Even the fact the surname density is higher in Přerov area I checked Žďár area first. And nope, that was not it. As I knew that Anna immigrated to U.S. in 1894 and her children were 7 and 3 years old, they should be born in 1891 and 1887. The correct registry should be N 1859-1902. I searched this registry for any Ondra family where wife was named Anna as Anna was mentioned as widow in the immigration record. Well, there was no such family in the registry. BUT there were two children of Anna Ondra, unmarried mother, daughter of Gotthard Ondra and his wife Marie Anna nee Váňová from Jindřichov. 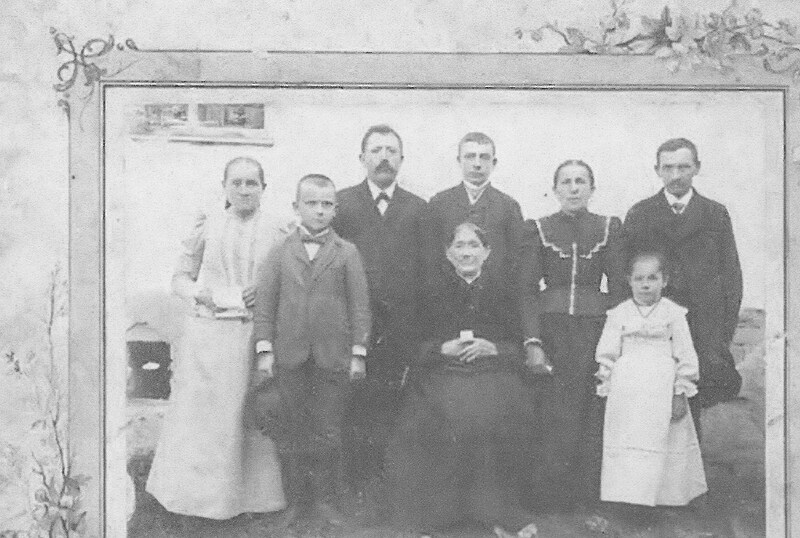 These two children were Adolf, born in 1887 (middle of right side), and Marie, born in 1891 (first on left side). It seems Anna didn't tell the truth about her status when she immigrated into U.S. - being a widow was definitely more respectable than being a single mother. She was young and married in U.S.to Josef Filip, had another children and founded new family. Oh! I wish I could speak english! This web site looks wonderful! Anyway, good luck! Blanka, After reading the first comment I can tell you that there are apps for translation. If you scroll down it is on the right side. That is just a mini of six languages but you could porbably find one for the Czech landguage. I just wanted to say thank you Blanka. You have given me so much. I can't wait to share your blog with my genealogy groups and my entire family. This blog is a great help, informative to read and just plain fun. Good work, Blanka. I hope you will be able to post regularly. I don't speak Czech (family does)so I really appreciate a blog in English. Thank you so much. The surname density site (Kde Jsme) is very interesting. I did a search for one of my ancestral surnames - Slanina - and found a nice group of them in Rychnov nad Kněžnou which is very near their original village. Which parish (and archives) to search? Religion - was it really important? CzGfB - ok, but why?